Cairo - The Saudi-led coalition in Yemen launched a targeting operation in the Al Houthi-occupied capital, Sana’a, Saudi state TV reported on Saturday. The operation targeted a location for storing and preparing drones and launch vehicles in Sana’a. 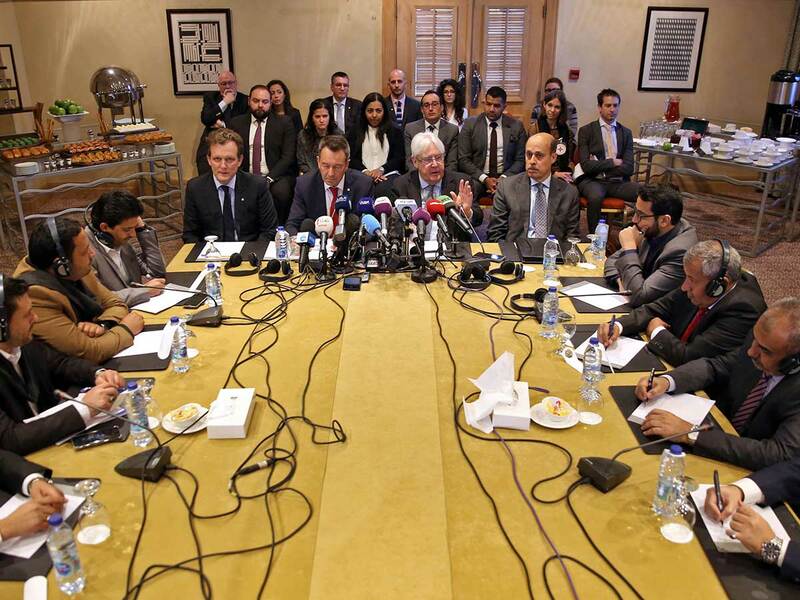 Meanwhile, mediators said on Friday that Yemen’s Saudi-backed government and Al Houthi militia have made “important progress” during talks in Jordan on a troubled UN-brokered prisoner swap deal. UN envoy to Yemen Martin Griffiths said Tuesday at the opening of this round of talks he hoped the two sides would manage to finalise the swap deal. There are fears that if the exchange fails it could have a knock-on effect on the other key elements - fragile truce agreements for the lifeline port of Hodeida and battleground third city of Taiz. Yemen’s government and Al Houthi rebels have agreed on a preliminary compromise for redeploying their forces from the port city of Hodeida, the UN said Thursday.